When Revive Seven approached me about writing a blog post about meal planning, I was glad to do so, but I feel I must make a confession first. I have an amazing way to meal plan around a tight budget – I mean a really tight budget – but I haven’t been using it lately. As the kids have grown and our dietary needs have changed and become more complicated, I have to admit, I have thrown my great budget-friendly method out the window. So, I faced a dilemma. Should I share the time-honored method my mother passed down to me or the real life method I find myself using in my present reality? I decided to do both and let you decide what will work best for your family and situation. These guidelines can be used completely or in part or combined with other methods. The bottom line is that meal planning of some nature is essential to keep you from emergency mode fast food trips and cereal night (unless those are in your plan). So choose one of these, a combination of them, or come up with your own, but don’t leave out meal planning before you hit the grocery store. Believe me, you will be sorry. If you find yourself in a time of life when money is tighter than normal, there are several things you can cut out without sacrificing any essentials. You can switch from going out to the movies to renting occasionally or using a low cost service like Netflix. You can give up your Starbucks and make your own coffee at home (you really can do this. Promise.) You can give up cable and internet and use the library to check your email. You can even sell your house and rent an apartment if you need to. The one thing you can’t cut out? Food. You have to eat. Your kids have to eat. Groceries are expensive, and most of us don’t have a self-sustaining homestead (although I dream about this.) So we must buy our food without going broke. I’m going to give you some tips on how to do it. Here is how my mom accomplished meal planning in the 70’s with a weekly grocery budget of $25 for a family of four. We didn’t have a lot of snacks or extras, but I was never really hungry. We had breakfast, lunch, and dinner every day. Now prices have gone up, and sticking to that kind of budget would almost be impossible today if you were going to have a well-balanced diet. I’m not sure what the comparable budget would be today, but let’s just say that even back then, $25 was not much. Before she even started making a meal plan, she would gather all of her ads and coupons together. I know ads are different now, and you might get them online or on an app instead of in the mailbox or paper, and your coupons might be digital, but however you do it and wherever you shop, getting all your resources together in the beginning is important. She had a pad of paper beside the ads and would go through them looking for items that were the best price. She usually found the meat with the best sale first, then thought of meals to make with that meat and went from there. Here’s the quote I remember her saying, “If hamburger was on sale, we had hamburger that week. If tuna was on sale, we had tuna.” There is no room for picky eating with this tight budget scenario. You buy what is cheapest and find a way to creatively fix it in different ways. The negative side of this was the end of the week soup or casserole. Let’s just say creative use of spices can only get you so far sometimes. But we weren’t hungry. Now obviously, if you are still budget conscious, but not in a financial emergency, you can loosen the reins on this a little, but the steps are the same, go to the ads first, and make your list based on what is on sale and what you have coupons for. To know a good sale, you must know what regular prices are. This may involve some research when you go into the store. Make a mental or physical list (digital or paper or index cards) of some of the basics (milk, hamburger, chicken thighs, lettuce, kale, cottage cheese) when they are not on sale as well as when they are on sale. This will let you know you are getting a good deal. Remember, an advertised price is not necessarily a sale price. If you don’t have a coupon or your coupon doesn’t make it lower than the store brand of the same exact item, do yourself a favor and buy the store brand. I remember being mortified that our cupboards were full of black and white “no-name” labels, but it’s what my mom had to do, and I survived quite well. Now I buy store brands about 90% of the time. Occasionally there is a product where ingredients or quality are really different. In those cases the best budget practice is to use a coupon or do without. Learn to use leftovers. Today’s pork roast is tomorrow’s barbeque sandwiches. This could be an entire blog post on its own, so I’ll just stop there. You get the idea. Consider a soup and bread or rice and beans night. This is a tip I picked up from an out-of-print series of books called the Tightwad Gazette. If you ever run across any of these at a garage sale or used book store, grab them. They have some great ideas. Soup and bread is delicious, nutritious and usually costs pennies a serving. Rice and beans can be served many different ways and is a complete protein when eaten together. You can find great recipes online to mix things up a little. Keep snacks to a minimum and consider low cost options like in-season fruit, pretzels and popcorn. If you have dietary restrictions from food allergies or other health conditions, keep these things in mind as you go through your ads and make your list. If you like to shop at specialty stores such as Whole Foods or Sprouts, use those ads and find the good prices for those stores. If you have a store that price matches, you can make your master list with the sale prices for stores in the area and just shop there. So, what if you don’t have time for all that research and planning and couponing? What if your kids are too picky for the cheap method or everyone is on a crazy diet? What if you want your kids and spouse more involved in the process? What if looking at ads drives you nuts? Well, don’t do it that way, but you still need to meal plan. Let’s face it. If we don’t have a ready arsenal of meal ideas of some form or fashion, we will find ourselves at 7 pm with a hungry family, various ingredients that we have no idea how to put together into a cohesive meal, and a desire to just take the easy way out and head to Whataburger. Or we buy $300 worth of groceries and come home and order pizza. I have made both of these and a few other less-than-wise meal choices, and I usually regret it. So, what is a growing, picky, grumbly, health-conscious family to do? Again start with a pad of paper or your laptop, phone, or tablet. A little planning is still necessary. On hand method – Go to the cupboard, fridge and freezer and see what base items you already have on-hand that you need to use. Start with those items, and make a menu based on your time, family’s dietary needs and your cooking ability. Make a list of the meals and a separate list of ingredients you will need to buy to complete the recipes. Rotation method – Another way to start involves a one-time dedication to creating a rotation schedule. This requires a little more planning the first time, but after that, meal planning just involves a plug and play approach. Here’s how it goes – Choose a theme for each day of the week. Examples might be meatless Monday, Taco Tuesday, etc. After that, you can play with the theme. Come up with several recipes for the theme and rotate them out. One week you might make traditional tacos on Tuesday. The next week you might have nachos or taco salads or enchiladas. You get the idea. Class participation method – Ask each member of the family if there is something he or she would like to eat for that week. Better yet, ask each member what meal he or she would like to fix that week. Make the list for these items and the ingredients necessary. Staples method – This is the loosest of all the methods. I have resorted to this a few times, but it is as close to no meal planning as anyone should get. It also requires a large freezer and pantry. Come up with about 10 meals that everyone likes and can eat. Make sure you keep the ingredients for all of these on hand at all times. Include some quick fix meals (hamburgers, hotdogs, etc) that you can fix with no prep so you won’t be tempted to go out when you didn’t plan to. After you have chosen one of these methods or a combination of them, you can add lunches and breakfast items and snacks to your list. If eating at restaurants is in your budget, plan those meals in, too. Include a make your own night or leftover night. Make your own could be mini pizzas, loaded baked potatoes, sandwiches, etc. Don’t have time to make a hot breakfast in the morning but you and your family love breakfast food? Have breakfast for dinner! If you choose to coupon, visit stores that offer double or triple coupons. Whatever method you decide to use, you will be glad you planned ahead. Your budget, your schedule, and your family will thank you. Happy planning! Lana Clifton is a Realtor, freelance writer and homeschool mom who lives in Saginaw, TX with her husband and two children. 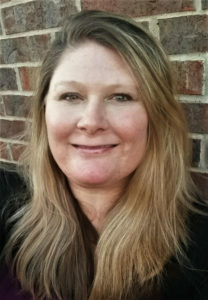 Her writing has appeared in local online publications in the Fort Worth area and online and print in Arkansas. She also contributed to the book, Chicken Soup for the Soul: Raising Kids on the Spectrum.